@dandude999 Definitely! Would love to be "the guy with the fancy car" in a small town someday, but if I do follow through with plans to leave the U.S. for Ireland, or any other European country, I may sell any high end cars I had at the time and live a more down to earth lifestyle. Really depends upon where I chose to live. Yeah, it would be mental to see that CGT driving casually around Iceland's capital lol! Welcome to the site and what an amazing combo! Did you guys know the majority of cars in Iceland are manual? If this was a few years ago it would've made top page of all time most likely. And I was actually just looking at photos of Iceland online yesterday. I really want to move there. 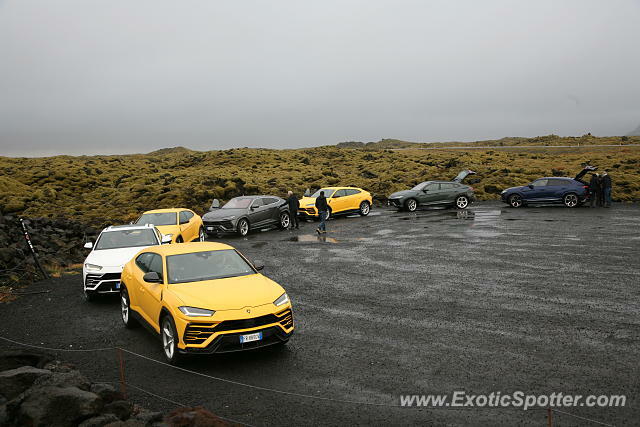 There may be a few, especially SUV's like Bentaygas and Urus's. However, they would probably be extremely difficult to find. No exotic cars actually reside in Iceland, do they? That’s absolutely insane! What a first post, welcome to ES! Well that's quite the first upload. Welcome!